Perhaps the world's best-known Romani scholar, Dr Ian Hancock never graduated from high school. A ninth-grade dropout, he nevertheless became the first Roma in British history to receive a PhD. Brian Kenety caught up with the visiting scholar in Prague this week. Admitted to a doctoral program at London University some 40 years ago on the strength of his extraordinary gift for linguistics  and as part of Prime Minister Harold Wilson's fledgling experiment with "affirmative action"  Dr Ian Hancock has since devoted much of his adult life to dispelling ignorance about the ethnic group into which he was born. He has represented the Roma people at the United Nations and as a member of the U.S. Holocaust Memorial Council. The noted linguist is founder and director of the Romani Archives and Documentation Center at the University of Texas at Austin, where he has been a professor of English, linguistics and Asian studies since 1972. Growing up in England, Professor Hancock was told to hide his Roma or "Gypsy" identity; now he celebrates his ethnic heritage and has made it his mission in life to help ensure that future generations of Roma do the same. "I now, as I look back on my life, find it very sad that I was told to hide my identity  not many ethnic groups are told: 'pretend to be something else'  and to me this is very, very sad. We have to stop this; we have to feel better about ourselves before other people can feel better about us." "Now, how do we, as Romani people, begin to make these changes? Parents, even if they have other priorities in their lives, should be aware of the value of education for their children. They might not see changes within their lifetime, but their children will, and their children's children will, even more." Dr Hancock was in the Czech Republic this week as part of a visiting scholars' program funded by the U.S. Department of State, through which he will also travel to Slovakia. He is meeting with Romani students and organizations, delivering lectures on Romani history at several universities, and consulting with government officials working on Roma issues. Prof Hancock, the author of hundreds of articles and books, has written a handbook called "We are the Romani People" which is designed to help instill a sense of pride in young Roma. It also serves as a guide for teachers and social workers working with the community to help them better understand the group's history  a history of persecution, he says, but also of triumph. 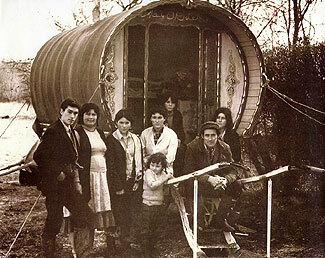 "If you look at the facts of Romani history; it's pretty sad. There has been the slavery that I mentioned, the Holocaust, the transportations, the sterilizations, the mass killings, the pogroms; and, we're still here. We still have our identity - without a country, without an army, without a government, without an economy - we're still here. We have our language and our culture; and to me, this is a triumph of survival." 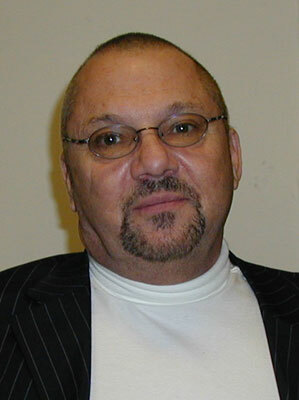 Dr Hancock sees education as the key to improving the socioeconomic status of the Roma. He says it is equally important that the community do more to help itself  including raising funds  and regrets that many "Roma initiatives" are organized or run by non-Roma. "Personally, this is an embarrassment to me. It would be a good place to start - in the direction of being self-sufficient - if, for example, money for a prize could be generated within the Czech-Romani population to recognize an outstanding Romani student."